TSLA – T. Rowe Price owned 8.98 million Tesla shares by the end of last year, according to a filing at the Securities and Exchange Commission. T. Rowe Price owned 8.98 million Tesla shares by the end of last year, according to a filing at the Securities and Exchange Commission. The new, smaller stake represents 5.2 percent of the electric auto maker’s common shares outstanding at the end of December. Previously, T. Rowe Price was the electric car maker’s second-largest shareholder behind CEO Elon Musk. 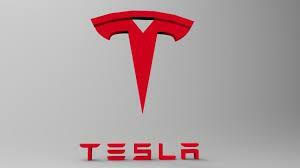 Tesla Inc. shares fell $0.39 (-0.12%) in after-hours trading Monday. Year-to-date, TSLA has declined -6.00%, versus a 8.28% rise in the benchmark S&P 500 index during the same period. '); } $(tr.join('')).appendTo($('table#news-stream tbody')).slideDown("slow"); }); } symbol_get_snippets('TSLA'); }); Page generated in 1.3097 seconds.